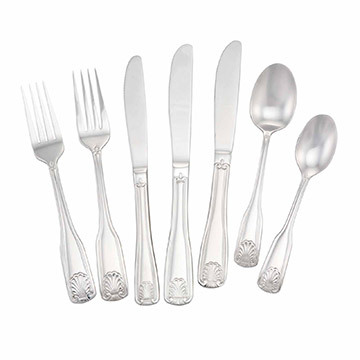 Walco's Fanfare Flatware Pattern is an ideal combination of elegance and durability. The unique seashell design is accented by piping around the border, making this versatile piece a perfect fit for any seafood restaurant or other types of high-end establishments. Additionally, the heavy weight 18/0 stainless steel construction allows for constant use without sustaining any damage.